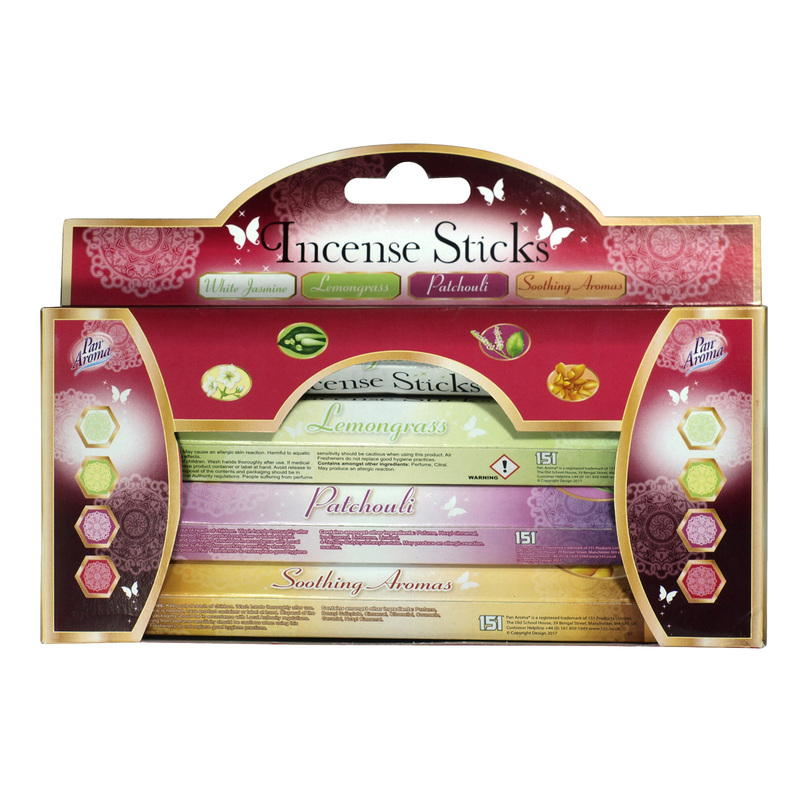 Gift pack contains 80 incense sticks in 5 Fragrance Packs. Includes: white jasmine, lemongrass, patchouli, soothing aromas and spring poppies. For best results, light tip of stick until it flames. After tip glows, blow out flame and leave on a fireproof surface to smoulder.